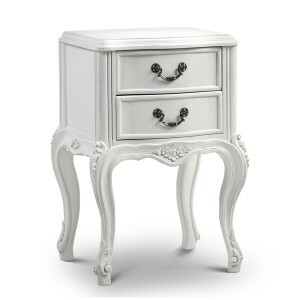 This petite French bedside table looks truly stunning in any traditional bedroom; featuring rococo carved details to the front of the chest and elegant cabriole legs. Crafted from mahogany, this piece is practical and built to last a lifetime. Match this piece with our sensational Provencale French style beds or blend with our other French style furniture for a contemporary chic.